What's on Netflix > Netflix News > Are the Other Cloverfield Movies on Netflix? Are the Other Cloverfield Movies on Netflix? Looking for Cloverfield and 10 Cloverfield Lane on Netflix? We’ve got all the details you need on how to watch Cloverfield on Netflix now with the release of The Cloverfield Paradox now streaming on Netflix. Cloverfield releases have always been a bit mysterious with the first in particular breaking the rules of how to lead up to the main movie release. The new movie tries to provide context to the original 2008 movie by showing us a space crew attempting to fix the Earths energy crisis and prevent a global war. With a movie series like Cloverfield that has so much hidden lore, you’ll obviously want to watch both films so let’s take a look at whether it’s streaming on Netflix. Netflix has managed to pick up the original in many Netflix regions. These include Netflix in Australia, Canada, India, Japan, the Netherlands and the United Kingdom. The United Kingdom lost Cloverfield but has regained it recently. 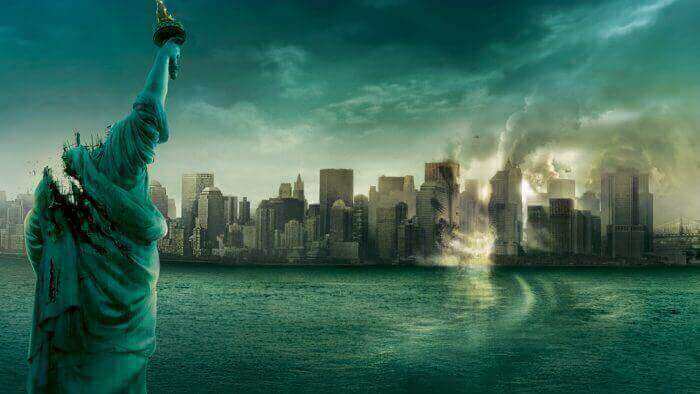 In the United States, it doesn’t have the first Cloverfield movie and there are currently no announced plans to add it to Netflix. The movie isn’t available on Prime or Hulu either meaning the only way you can watch is through video on demand. The ridiculously tense movie starring Mary Winstead and John Goodman surprised audiences and acts as the second movie in the Cloverfield universe. As a newer movie, Netflix will have a harder job of acquiring the license thanks to it being in more demand. As of right now, no Netflix regions currently carry 10 Cloverfield Lane but we do have good news. Some Netflix regions will be getting 10 Cloverfield Lane later in the month. This includes Netflix in the United Kingdom which will be getting the movie drop towards the end of the February 2018.